Can You Balance Faster Than A Cat’s Meow? Life happens, so when it does are you ready to seek within? 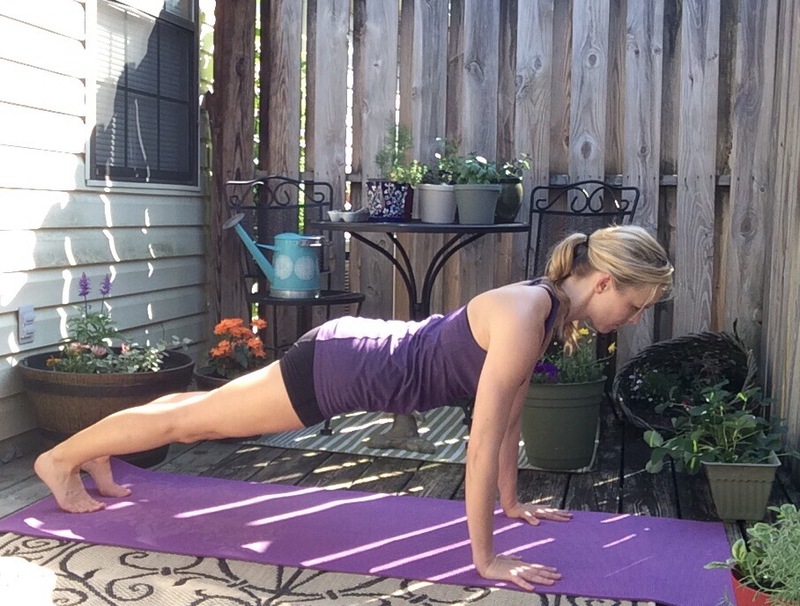 These poses will have you balancing faster than a cat’s meow. You heard it here first! Things don’t stop or sit still simply because we need them too it takes our focus, drive, determination and commitment to create balance. 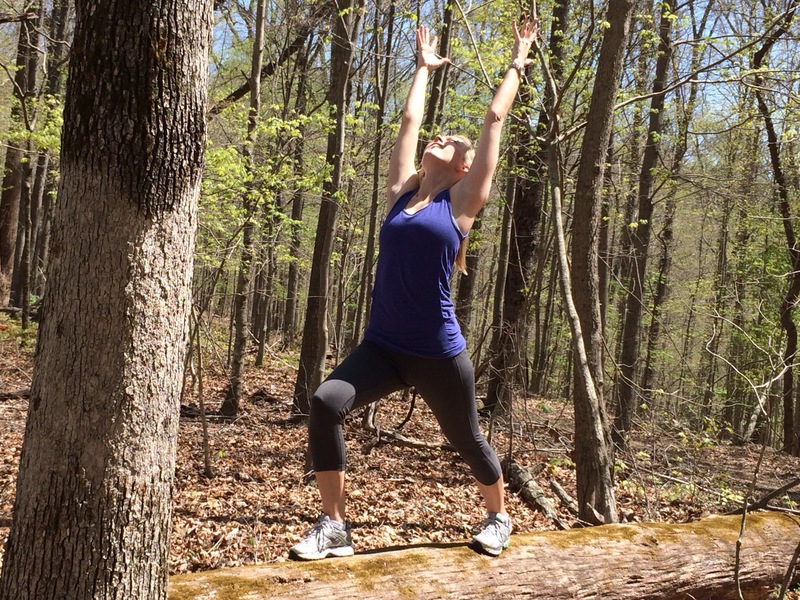 While taking pictures of these balancing yoga poses, I set up on a fairly busy running/biking trail. Why? Partly, because the scenery and the hill across the way was a perfect place for my tripod but also, I knew that to achieve balance here, it would truly require me to seek from within. With a highway on one side, a river with boats on the other, runner’s and biker’s passing by quickly, it was anything but quiet but it was the challenge I needed. Rather than focusing on the sounds and things going on around me, I had to tune it out. I couldn’t worry about what everybody else was or wasn’t doing. It didn’t matter. I was making a conscious effort to balance in the midst of life. We don’t always get to choose everything that happens around us or to us. The only choice were given is how we respond. 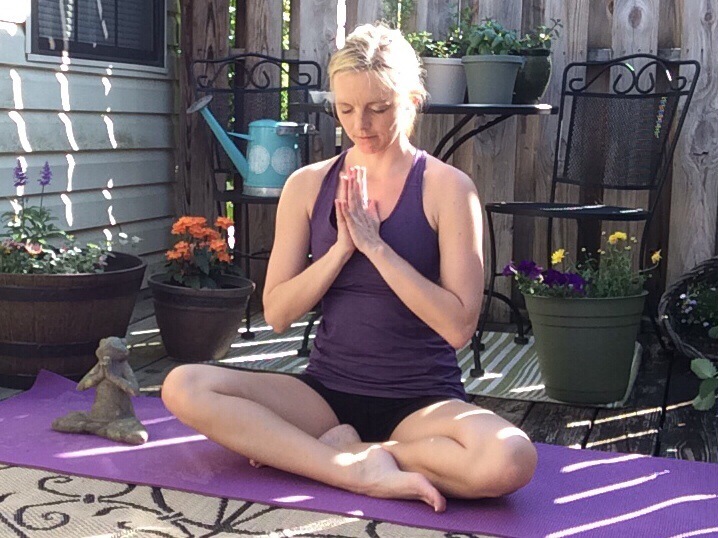 These poses help bring your focus within. They teach us to maintain our center no matter what is taking place around us. Beginning on hands and knees, wrists under shoulders, knees under hips, left arm reaches out as you extend the opposite, right leg. Hold this position for 60-90 seconds and switch sides. Keep the spine long, gaze to the mat, hips even, belly button drawn to spine, shoulders back and down. Beginning with right hand underneath shoulder and right knee under hip, lift left leg up parallel to the mat and reach left arm up the sky. This is prep for our half moon standing balance. Same pose as above except here you have the option to bind the left leg by bringing it in closer, allowing a stretch and a backbend. 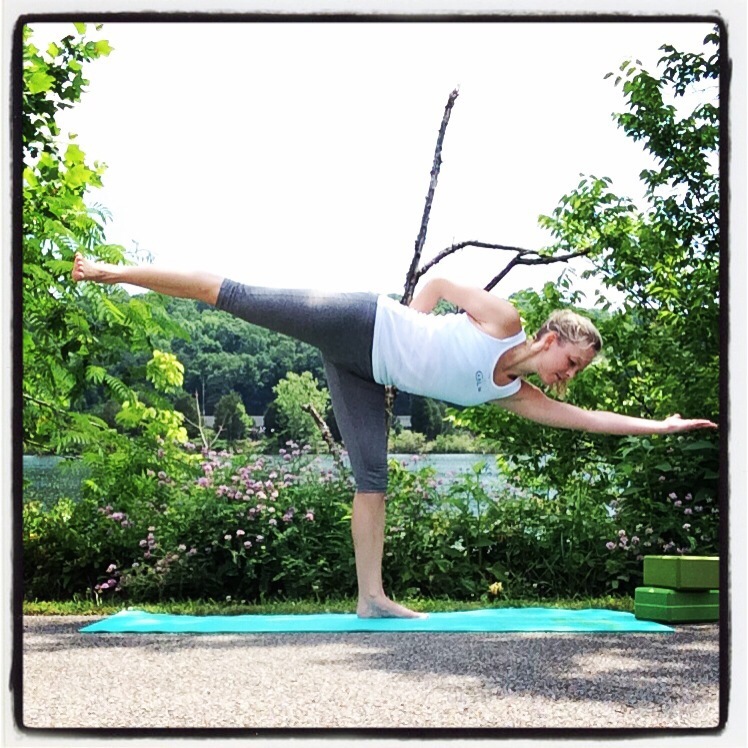 Begin in forward fold, reach one leg up behind you. It doesn’t matter how high you lift your leg. Activate both feet, the standing one by rooting down into the mat, and the lifted one by spreading the toes and lengthening the leg. Option: Use blocks to reach mat as shown in the picture above. In this pose our goal is to bring the lifted leg and arms parallel to the floor. 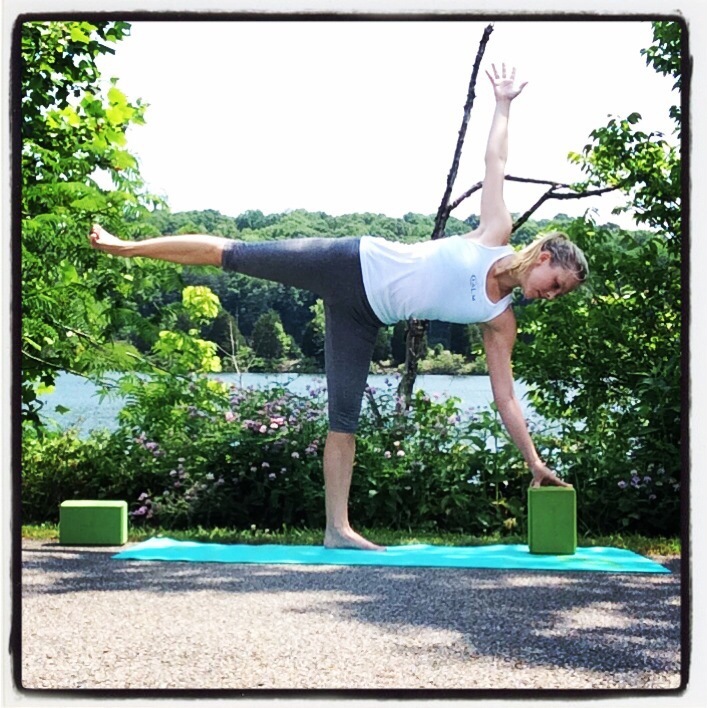 When first attempting this pose, use a block under each hand and practice lifting the back foot, eventually you may begin to lift one or both arms to reach out in front of you. This is one of my favorite yoga poses. Place a block out in front, a little to the side of whichever leg you’re balancing on first. You’re going to keep the balancing leg pointing forward. Take and lift the back leg up as in Warrior 3, except now we are going to rotate the hip open to the side. The chest also rotates and opens to the side reaching the top arm up. Don’t be afraid to bend the balancing leg. You have to feel your way into this pose. It will take some time and practice. Eventually you can begin to draw the extended leg in for a bind. Remember looking down helps with balance, looking up challenges it. 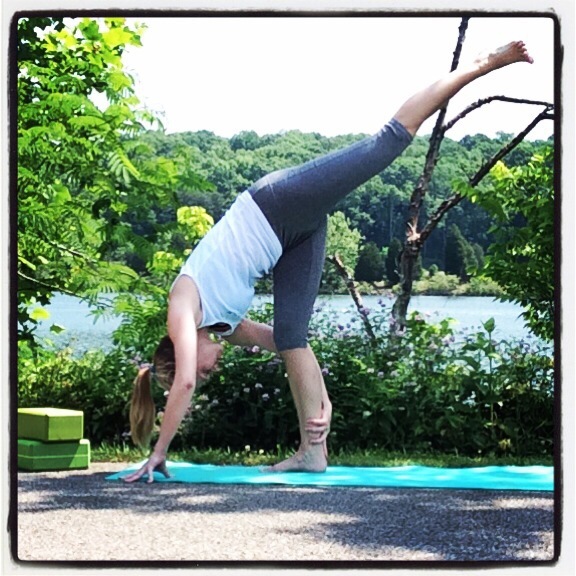 This entry was posted in Yoga and tagged balance, yoga, yoga for beginners, yoga poses. 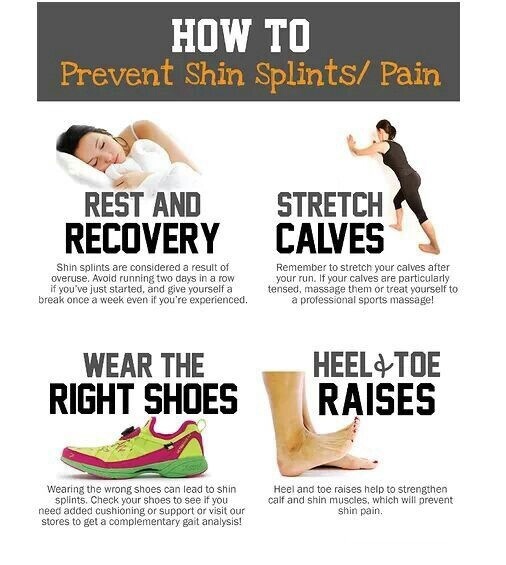 Aching, throbbing and debilitating are just a few ways to describe shin splints. Once you have them, ice and rest are the best remedies. Being a runner, myself, I know all to well the pain they can inflict. 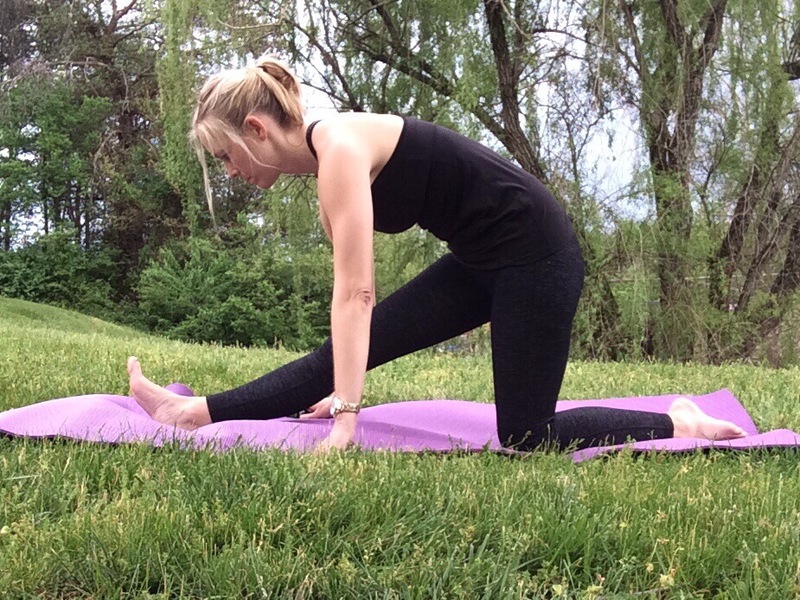 In today’s post, you will find yoga pose variations that will help to prevent shin splints by both strengthening and stretching your legs and feet. First, I must say thank you to Rob! He has a blog http://weight2lose2013.wordpress.com and recently asked me if there were any yoga poses to prevent shin splints? Great question and thank you for the inspiration for this post! Begin standing with your feet hip width apart, squat back, keeping the knees lined up. Lift one heel up off the mat. Now, see if you can lift both heels up off the mat, placing the weight onto the balls of the feet. Lift your heels up and down by alternating between them or lifting both at the same time. Try 3 sets of 10-15 reps. In this variation instead of lifting the heel, stay in the squat position and lift the entire foot. Hold for 10-15 seconds and switch sides. 2 set of 10-15 reps per each side. Right foot in front, knee over ankle, hips squared, turn your back foot slightly to the left and press down through both feet. Hold for 60-90 seconds and switch sides. Repeat 2-3 times per side. Begin on your knees, walk the right foot in front and stretch your leg out. Heel on the mat as your toes point up. Option 1: Keep the left knee under the hip. Option 2: Begin to walk the left knee back deeper into the splits. Hold for 60-90 seconds, 2-3 times per side. Be mindful and do what you can. That’s where you will reap the most benefits from your yoga poses. Seated position with legs stretched out in front. 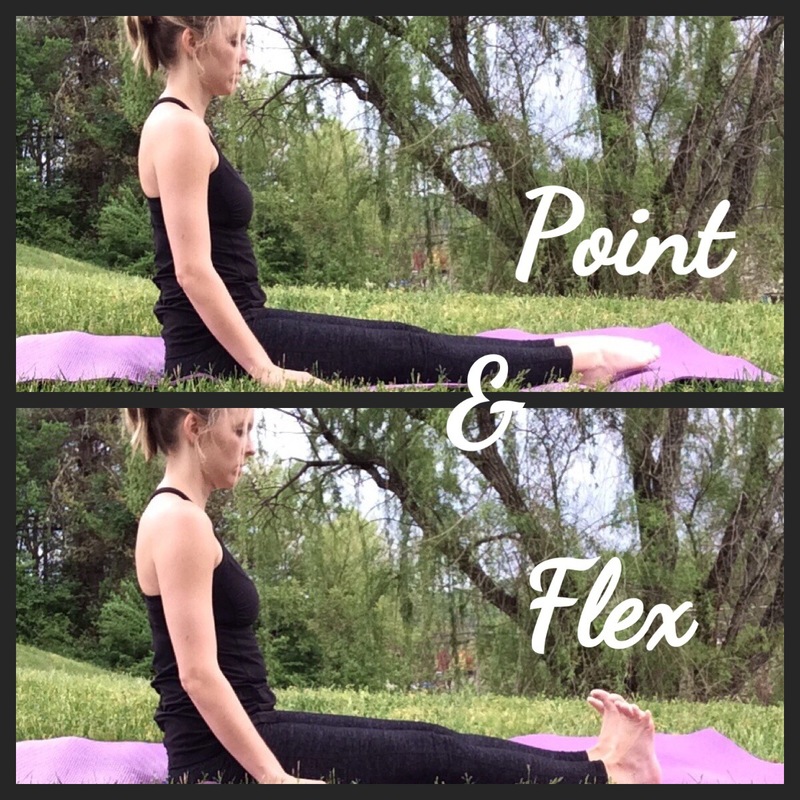 Begin by pointing and flexing the feet back and forth. A simple stretch for your calves and shins. 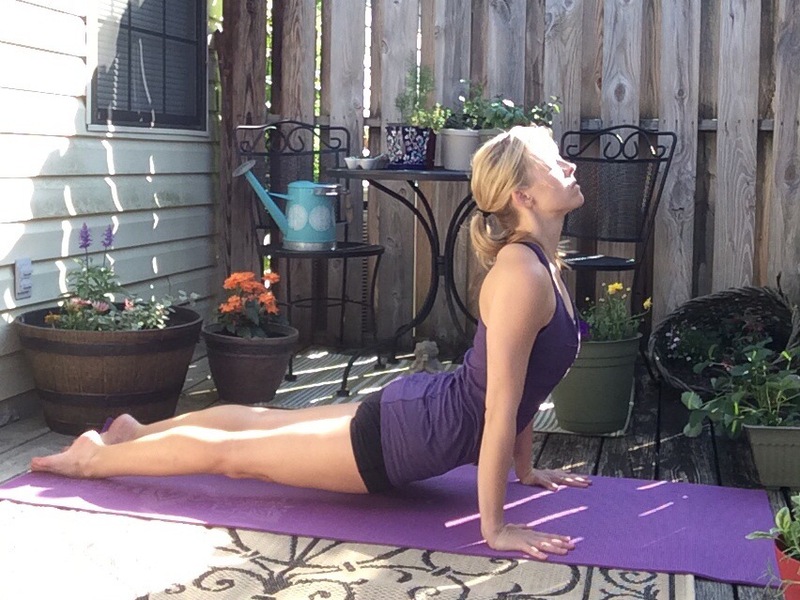 This entry was posted in Yoga and tagged runners, shin splints, yoga for beginners, yoga poses.